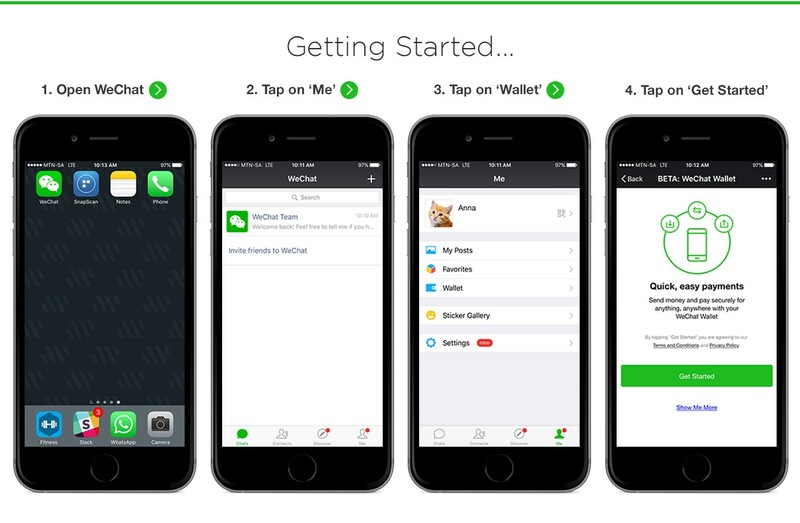 “The new digital wallet service is WeChat’s most exciting offering yet. It truly showcases the scope of the platform and provides a safe way for users to store their bank cards and make cash payments on the go in a tech-savvy way,” says Brett Loubser, Head of WeChat Africa. “The service is another way WeChat is merging the online and offline worlds, providing users with seamless payment integration in a single application. Now they won’t be inconvenienced if they forget their purses or money at home because everything they need is at their fingertips.”. Registering for WeChat Wallet is easy. If you are a WeChat user in South Africa, simply log into WeChat, tap ‘Me’, then tap ‘Wallet’ and follow the step-by-step instructions. The service is only available to South Africans who are 16 or older with a valid ID number and are using iOS or Android phones.